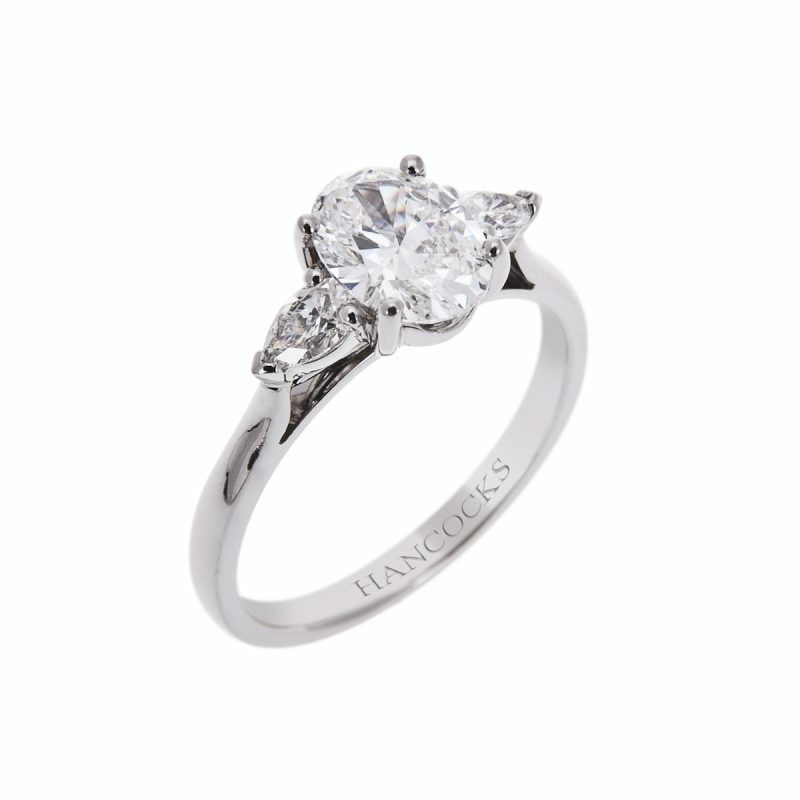 A ring to speed the heart and inflame passions, the wearer of such a ring would be entranced by this spectacular jewel as it casts it magic. 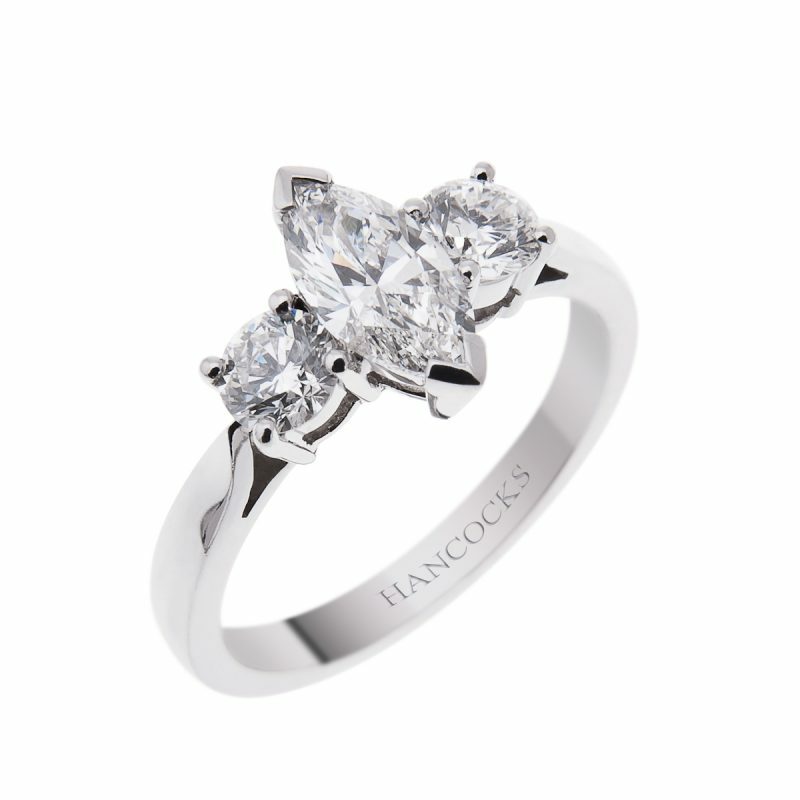 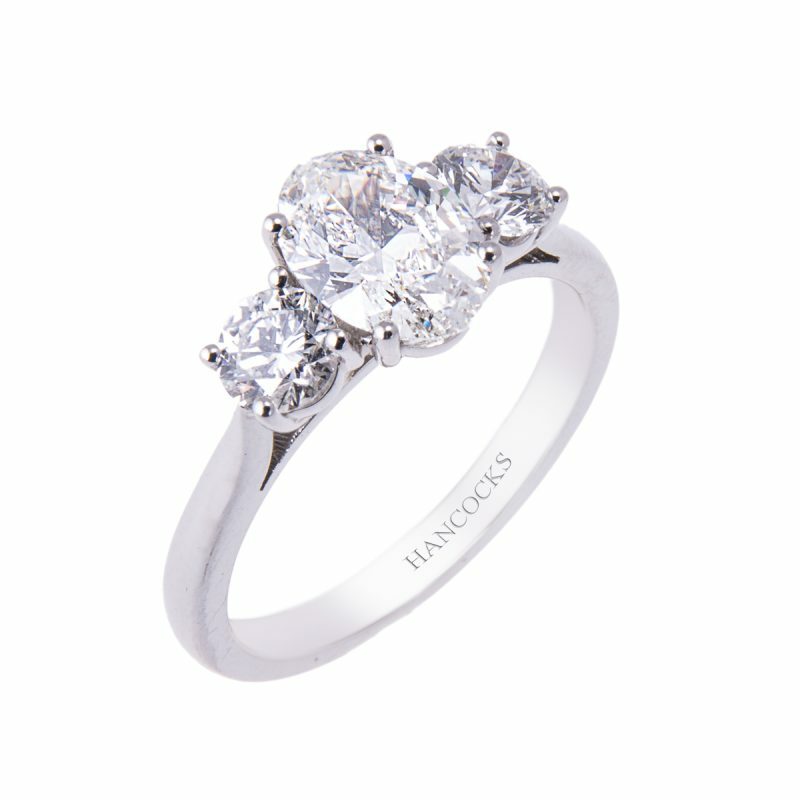 A certificated 1.00ct oval cut diamond, mounted in a handmade platinum claw setting. 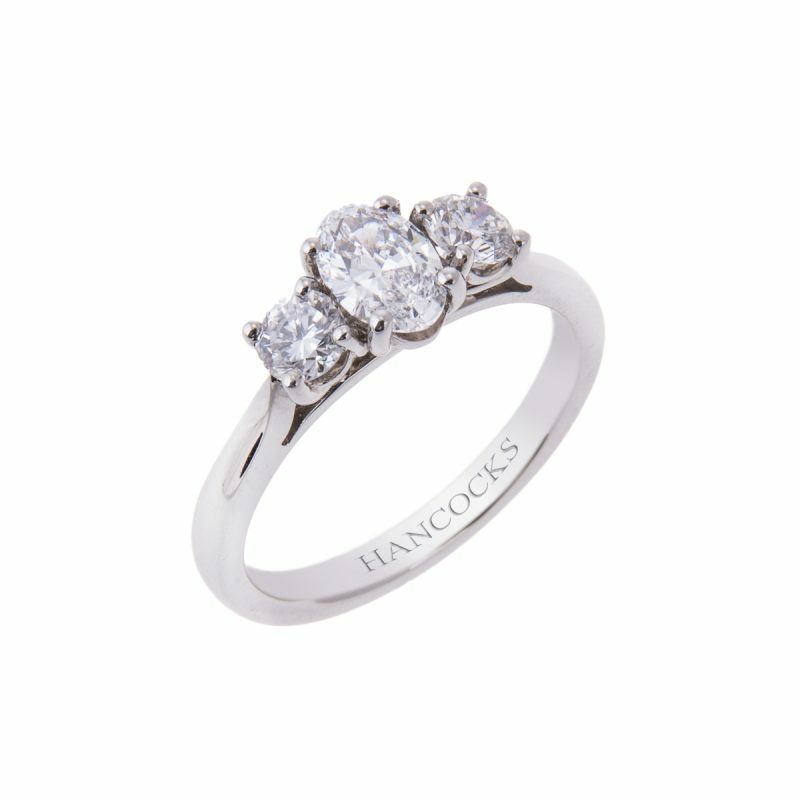 The centre stone sparkles with every movement, flanked by 2 pear cut diamonds chosen by Hancocks to cast prisms of colours. 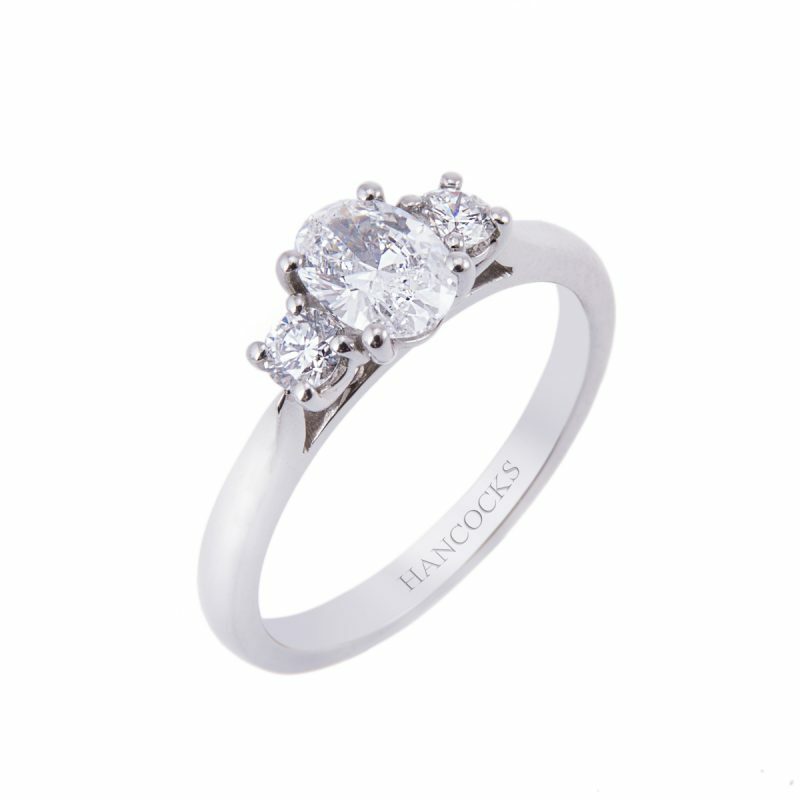 A jewel of this beauty is indeed the most prized of special gifts.